….though it would be fair to say that it is more definitively occupied at one end than the other. Sergeant Stripes and Percival, otherwise known as mini me and maxi me. 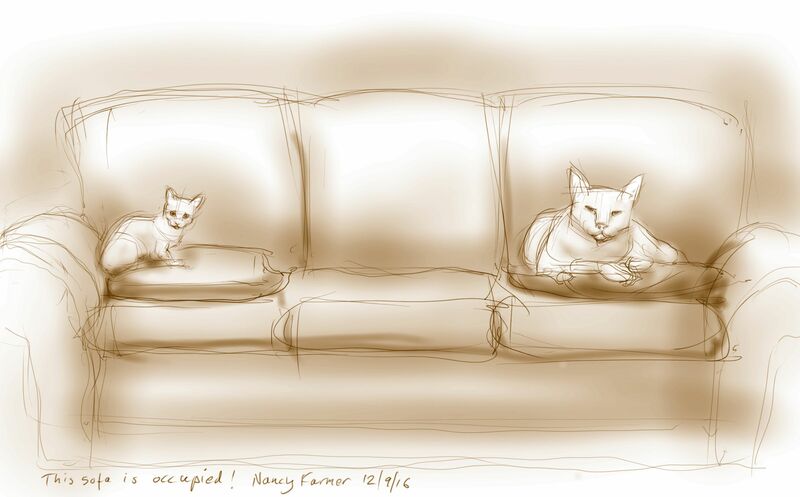 This entry was posted in Cats and tagged art, cat drawing, cats sitting, illustration, Percy Cat, Sergeant Stripes, sketch on September 13, 2016 by Nancy Farmer. Yes, shame they didn’t all line up! But Freyja is still not really talking to the kitten and Arthur was busy….